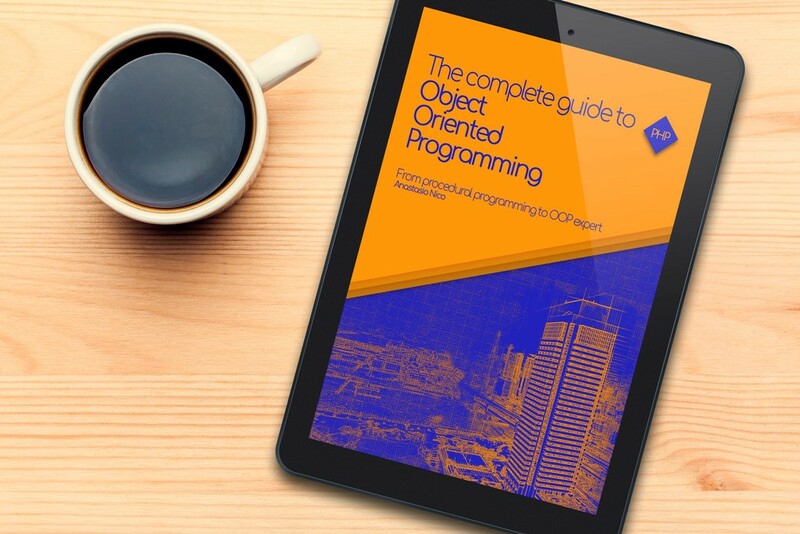 This blog post is the fourth part of "The complete guide to Object-Oriented Programming: Go from procedural programming to OOP expert in PHP"
but it can lead to some confusion if the background is not strong enough. I do not know why but as always programmers like to define fancy words to describe simple concepts. This elaborate word means nothing other than gathering data together in a way that the rest of the code does not affect it. In the following example, you will learn about the concept of scope. school in our city and the other only counts the number of schools in the main street you will see that the result will be different. This happens because the second variable has been encapsulated within the function, thus allocated in a different scope. but, this is not a good practice and it will make the code very messy very soon. Properties and methods with this level can be accessed, viewed and updated from everywhere in the code, within a class, from a subclass or even outside the class. on an element, the code will consider it public. consider that all the examples you have seen so far in this article have been publicly declared. Sources say that this is not going to stay any longer, the web application deployed in PHP4 and still online are very few. Protected is the second level. And it is very easy to understand so I will not dwell much on it. When declaring a property protected you are saying that this variable is available everywhere inside the class and in any class that extends it. private properties and methods can be accessed only from within the class they are declared. This type of visibility is used for very sensitive information like when you are working with passwords or dealing with payment data. PHP syntax orders us to define the visibility before writing the element. No School nor Office can access and update the $safePassword variable. This is a very basic feature of PHP but must be clearly understood. if there is no error shown it will be very arduous for you to find the problem at all. Here it is a new PHP keyword for you to learn. Since there is no class instanciated the keyword $this is not available inside these methods. It is replaced by the self:: keyword instead. let’s make thing a little bit more clear. Why use static in the first place? In the previous examples while we are creating our city we are using the same class of Building as a blueprint, from there we extract the data we need and we have created the actual object, either Offices, Schools etc. To do that we need to create copies of the Building class and all the actions we perform are going to change only the object instantiated and never the class itself. This means that we can have dozens, hundreds or even thousands of Offices in our imaginary city and we can edit each of them without affecting the others. You can add a window or repaint the wall on one of them and there will be no problem because the other object will never know. Well, when using static things are different. you are seeing echoed the actual static parameter of the actual class. If you were to create a method that will end up editing the parameter it will be the parameter of the class that will be changed not the one of some instance create afterward. This notion makes the static keyword very powerful but at the same time is not seen good from many developers, that consider its and the use of the global scope, in general, a bad practice. This was a quick post that indicates you the easy concepts of visibility and use of the static keyword on PHP. choose a protected or private level of visibility helps the web developer define what is shareable and what it is better that stays within friendly walls. you have learned that you can now declare classes without the necessity of instantiating them. The static keyword is another powerful but dangerous feature of the language. It is an elementary error to learn some new keywords and start to use them everywhere in your scripts. a misuse of it, especially at the beginning, can lead at a complete rewrite of already finished features (it happened to me, learn from my mistakes). I have prepared a complete list with a detailed description and code examples. Stay tuned and subscribe using the form down here to get notified when it will be published. Are you going to update your methods and properties applying protected and private keywords or do you prefer spread static keywords everywhere?